Microneedling - MesoPen VS Rollers - Which is better ? Microneedling is a technique increasingly used for its many benefits. What device is better to apply it? In this post, we bring you information about the Meso Pen and the Meso Roller, two good options for microneedling. In our post Frequently asked questions on microneedling we explained what this method of application of active ingredients consists of and we solved some of the questions that generate the most doubts around its use. Today we go deeper into the subject to see the differences between Meso Pen and Meso Roller, the two main devices to implement microneedling. The Meso Pen is an electronic transdermal penetration device that has the shape of a pencil or pen. At one end it has a head with microneedles. This part is applied to the skin during treatment. We can adjust the depth of the needles and the speed of operation according to the type of skin, the area and the objectives of the treatment. 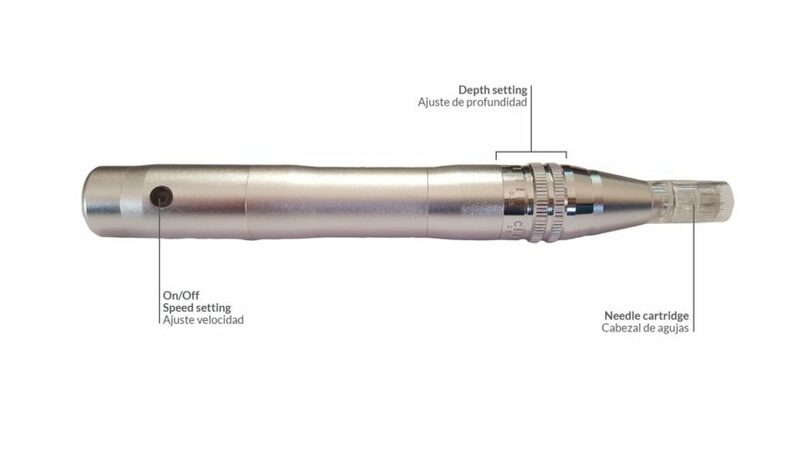 The Meso Pen opens more than 1,000 micro-channels per second in the skin and it is through these ducts where the active ingredients penetrate (hyaluronic acid, vitamins, minerals, peptides, amino acids, etc.). In addition, these micro-channels or skin micro-traumatisms cause an innate response of the body to repair the skin, resulting in the creation of collagen and elastin, among other benefits. The Meso Roller is a mechanical transdermal penetration device consisting of a handle with a roller at the end. The roller is composed of microneedles that, depending on the model, can have different sizes. To perform the treatment, the roller slides on the skin in four different directions (making a star). In this case, speed and penetration are controlled exclusively by the professional who performs the treatment, since it is a manual device. 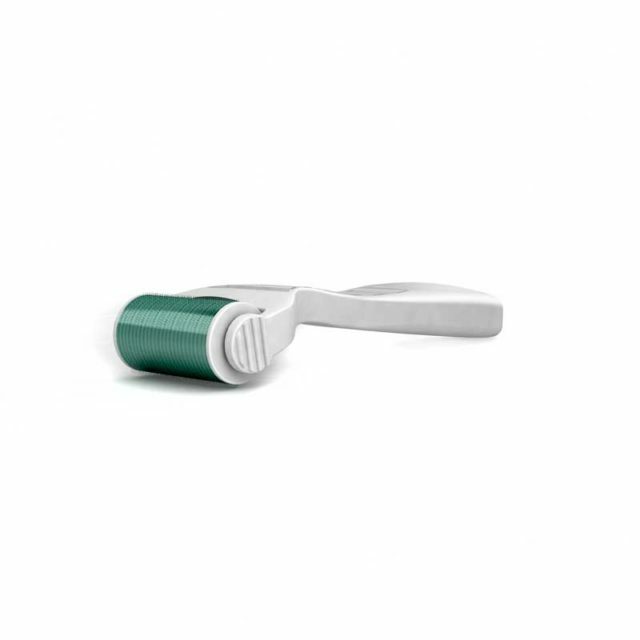 Like the Meso Pen, the Meso Roller opens micro-channels in the skin, through which the active ingredients penetrate. The process of creating collagen and elastin is also activated by its use as the body’s response to controlled aggression. It allows the control of essential factors for the success of treatment such as speed and penetration, so that the professional can adapt to different skin types and areas of the body. Being an electronic device can work at a much higher speed than the human hand, which results in the creation of thousands of micro-channels per second in the skin that, moreover, are performed accurately and vertically. Due to the size of the head and its precise operation, it can be easily used in delicate areas such as the eye contour or the upper lip, among others. Due to the small size of the head, extensive body treatments can require time-extended sessions. Its price, compared to the Meso Roller, is expensive. The Meso Roller is much more comfortable to treat large body areas, since its use reduces treatment time. On the other hand, it is difficult to access certain areas that are more accessible with Meso Pen, such as the eye area. The creation of micro-channels for penetration of active ingredients is more limited and much less precise. On the other hand, the price of the device is very low.